Guillermo Pfening as Nico in NOBODY'S WATCHING.John Harris. / Courtesy of FiGa Films. Fans of Latin American cinema are in for a treat at this year’s Tribeca Film Festival which kicked off Wednesday night with a lavish red carpet and concert. Now in its 16th year, the festival is showcasing a delicious mix of films exploring a wide range of subjects and stories from the region. Making its world premiere is film “Nobody is Watching,” by the talented New York-based Argentinian director, Julia Solomonoff. It tackles immigration with an unlikely hero--an Argentinian telenovela star who immigrates to New York City to find success, only to discover that being blond and speaking English with an accent are detriments to success in a nation and industry trapped in racist tropes. Then there is "Elián," a documentary that revisits the extraordinary story of the little Cuban boy rescued from the sea who got caught in the dramatic Cold War politics between Cuba and the exile Cuban community of Miami. “We are seeing an exciting independent trend and many co-productions between countries,” explained another Tribeca fest programmer, Liza Domnitz, of the slate. By way of example, Domnitz pointed to Solomonoff’s film. A Colombia and Argentina co-production, the movie features an Argentinian lead and it was shot in New York City over three seasons with a pan-Latino cast. Spanish speakers will be able to appreciate the diversity of Spanish cadences in the film's cast —Dominican, Colombian, New York English, Argentinian, Mexican and and Puerto Rican. Solomonoff gives a shout out to her international crew, as the credits roll with names of the cast and crew accompanied by flags from their respective native countries. The breadth of topics tackled and the quality of the films shows that the region’s cinema continues to enjoy a thriving renaissance. One of the legends that kicked off the boon nearly two decades ago with “Amores Perros," award-winning director González Iñárritu will give an intimate talk about his art in the popular series, Tribeca Talks. Expect lots of questions about his upcoming virtual reality project, “Carne y Arena” which will debut in Cannes this summer. “We don’t get to see enough films from the Dominican Republic and it’s exciting for us to be able to showcase this gem in a city with the second largest Dominican population in the country,” says Hammond. The hero of the story is a young Dominican man who returns to the island after serving fifteen years behind bars in the U.S. Struggling to find work to help his ailing mother Cisco turns to boxing. This is not your typical boxing and sports fairytale. The film explores the underground boxing scene and offers a gorgeous and not so gorgeous view of life in Santo Domingo. The last time the world saw Elian he was a 5-year old Cuban boy stuck between the hardline politics of Miami’s powerful Cuban American exile community and the equally hard line of communist president, Fidel Castro. A breathtaking amount of archival footage that captured the Shakespearean melodrama of the story serves as an entry point. The film catches up with Marisleysis Gonzalez, Elian’s feisty cousin, Elian’s father, Juan Miguel, and Elian himself, who at 23 years of age is bit of a hero in his native Cuba. New York based Argentinian director Julia Solomonoff delivers a powerful and touching film courageously tackling a timely topic: immigration. 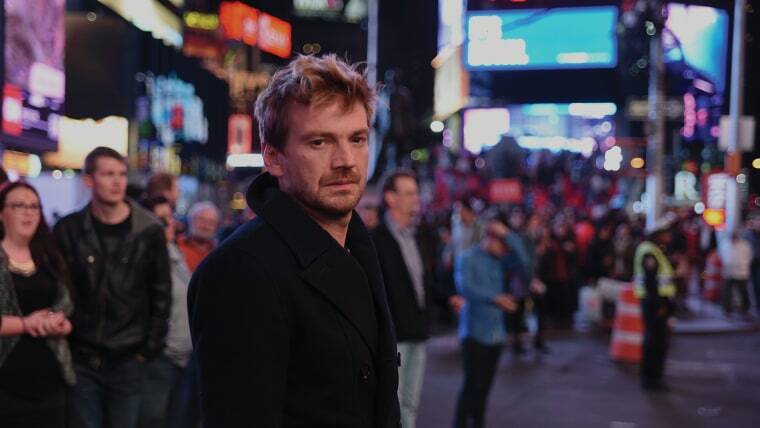 The story follows Nico, a popular novela star from Argentina moves to New York to make it in the film business. Besides an array of wonderful New York City characters, the city is the star. Shot in three glorious seasons the images of the Big Apple are luminous and mesmerizing and worth every frame. The Amazon River. Film still from A RIVER BELOW.Helkin Ren? Diaz. “What kind of a world we live in if a biologist is scared to tell the truth?” asks Dr. Fernando Trujillo, a world-renowned pink dolphin conservationist from Colombia? It’s a question that is at the heart of this magnificent documentary about two fearless conservationists, (the other is biologist turned reality star Richard Rasmussen,) bent of saving the endangered pink dolphin. The film shows the complexity and danger of being an environmentalist in Latin America. Must watch and a perfect offering to celebrate Earth Day! Marsha P. Johnson in THE DEATH AND LIFE OF MARSHA P. JOHNSON. The wonderful hero of this documentary is LGBT rights and anti-violence activist, Victoria Cruz, who in her final days of working at New York City's Anti-Violence Project, decides to investigate the mysterious death of one of the founders of the Gay Civil Rights Movement and a beloved muse of New York's gay and trans community Marsha P. Jonhson. This extraordinary film, "The Life and Death of Marsha P. Johnson," was directed and co-written by Academy Award nominee David France ("How to Survive a Plague") and follows Cruz as she compiles a breathtaking amount of evidence that points to Johnson's death not being a suicide as cops initially reported. As much as this film is about a friend's desire to find the murderer of the much loved "street queen," this film is also about the founders of the gay power moment such as ​Sylvia Rivera, who with ​Johnson, was one of the transgender activists ​responsible for the modern day Gay Civil Rights movement. The documentary is also about the continued violence against the transgender community. A brilliant and moving film ​ about the life of a beautiful woman whose murderer has not been found and the people who refuse to stop fighting for justice. Part of the Tribeca N.O.W. series, this short shot for the web that has been described as mesmerizing and hauntingly beautiful. A hybrid journalistic work that combines, still photography, film, and documentary style story telling, the short tells the story of the ELN, the National Liberation Army, a Marxist organization that has been fighting for revolution since 1964. The FARC may have declared a ceasefire and Nobel Prizes picked up but the ELN continues today to be the last active guerrilla army in the Americas.